Four tied at the top to start the outdoor season. Why/How the Cougars dropped to 9th in the nation? Not enough meets? Not enough runners? I’m still trying to figure out track and field. I could be wrong but seems to me like we’ve held back many of our best runners at some of the meets. Maybe trying to avoid injuries and/or fatigue? Also, maybe we lack breadth… We’re super strong in sprints but not so much in field events and distance. #9 is the USTFCCCA ranking. 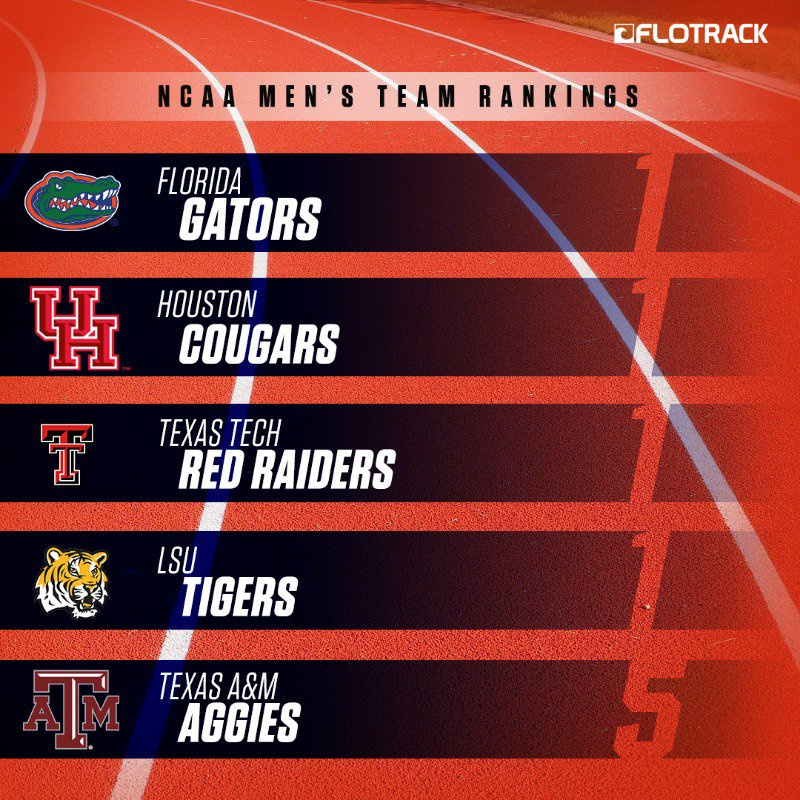 Coogs are still #4 in Flotrack. For USTFCCCA, they basically try to project things at this point and a lot of the projections may not make sense because they’re based off last year’s marks and early marks this year. Won’t be until later in the season before the rankings shake out. 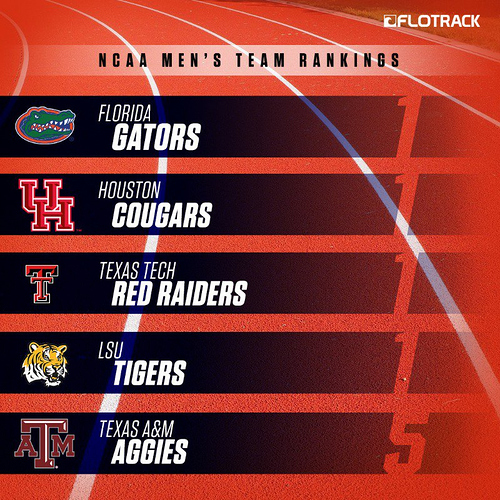 For Flotrack, they don’t rely as much on the past outdoor season and try to project how things will shake out. Not perfect (hence the constant top ranking for Texas Tech), but a little closer to what it will look like at the end of the year.